Despite how the holidays are portrayed on television and in the movies, they often create a lot of stress for people. 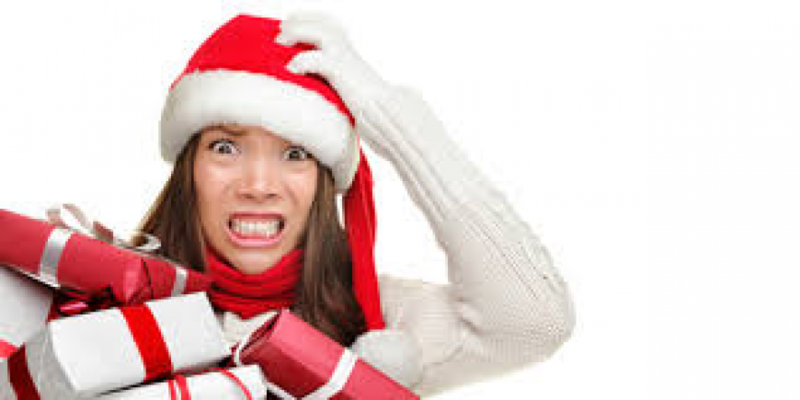 Research says that 8 out of 10 Americans are expected to feel stressed out by the holidays. Nearly two-thirds of people claim that the holidays create financial stress in their lives. Upwards of 40% report eating unhealthy during the holidays in large part due to stress. Spending time with family and relatives, although enjoyable on one hand, often fuels stress on the other hand as old family dynamics are recreated and played out. Almost 65% of people say that the lack of time to plan and prepare for the holidays is one of the top stressors during the holiday seasons. This year, try to take a proactive approach to keep your stress more manageable and in check. Talk with family members early on to coordinate dates, times, and locations. Start meal planning 2-3 weeks ahead of time so you have plenty of time to shop for food and get supplies. Consider splitting up the meal and have each family member bring a couple items. This will be much more affordable for everyone and you won’t have to try to prepare and cook so many dishes on the day of. Gift giving is a wonderful expression of love and appreciation, however, don’t feel obligated to out-do yourself from last year. Talk to family members, set a spending limit that everyone is comfortable with, and consider buying some things weeks in advance rather than waiting for last minute sales. This will afford you time wrap ahead of time instead of cramming that task in with all the other last minute details. Stick to your routines as much as possible. It is a chaotic time for most people and maintaining some level of routine will help keep you grounded. Let go of perfection. The holidays should be a time to relax and enjoy friends and family, not obsess about whether everything is “just right”. Most people don’t care nearly as much as you do. Don’t forget the workouts. Besides boosting your mood for up to 12 hours, they can be a great way to unwind and vent off stress. Remember to laugh. Laughter helps reduce stress hormones in the body and it just feels good. Don’t take life too seriously. It’s just the holidays. Have fun with it. If you are concerned your stress level is too high, please call us now at 763-416-4167, or request an appointment on our website: WWW.IPC-MN.COM so we can help you discover other ways to cope with stress during the holidays and all year long. Increasing your coping skills will continue to pay dividends for years to come. Life is too short to be unhappy. Find the peace of mind you deserve.